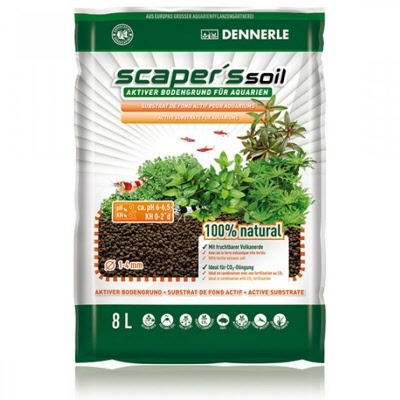 Scaper's Soil is an active growing substrate that consists of 100% natural raw materials that was developed particularly for planted tanks. Through its carefully selected materials, it supplies all the essential minerals and trace elements that aquarium plants require each day. The irregularly shaped grains have a width that ranges from 1 to 4 mm. This allows for ideal flow through the soil in addition to giving it a natural-looking appearance. Plant roots can effortlessly grow into Scaper's Soil; therefore it offers an impeccable foundation for vital, robust plant development and rich colors. Mosses likewise benefit from this in the form of luxurious growth and lovely green leaves. The bright green plants really stand out against the deep black soil. 1. The targeted nutrient composition results in the minerals primarily helping the plants instead of the algae. 2. The nutrient buffer function: comparable to a battery, additional nutrients are taken from the water and released to the plants only when required. 3. Just as healthy, abundant grass is the ultimate protection against weeds in your yard, well-growing aquarium plants are the toughest opponents of algae in your tank. Scaper's Soil's active ion exchange properties lower the pH level and stabilizes it at a slightly acidic level (around 6.0-6.5). It simultaneously decreases the carbonate hardness - down to approximately 0°d KH depending on the water source – and the outcome is that the water is substantially softer. 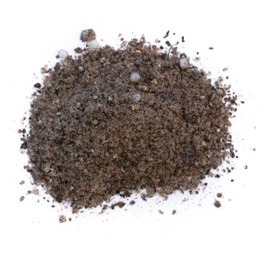 Scaper's Soil makes an environment that is similar to what many tropical aquarium plants and fish would have in the wild. For instance, soft, mildly acidic water is perfect for most South American ornamental fish like tetra, scalars, and discus. This substrate is safe to use in combination with CO2 fertilization as it stabilizes the pH level. Sparkling water and healthy living conditions for your inhabitants are ensured because the substrate’s porous surface is ideal for the colonization of key cleansing bacteria. In addition, Scaper's Soil absorbs numerous toxic substances straight from the water.